Sheffield United vs Middlesbrough predictions ahead of this Championship clash on Wednesday night. Will the Blades pick up another home win? Read on for our match preview and free betting tips. There’s a huge promotion clash at Bramall Lane this week, as Sheffield United host Middlesbrough. The two are in the hunt for a top-two finish in the league this term, with the hosts pushing to jump into second in this clash. They’re among the form sides in the second tier, thanks to the scoring talents of forward Billy Sharp. Can he fire them to success again on Wednesday night? The hosts have been in fine form in recent times, they’ve got a decent winning streak going at their own ground. However, they’re going up against a fellow top five rivals in this clash. There are only four points between the two, with Boro coming here with a game in hand. They could easily slip into second with some good form, having won at West Brom in their last league trip. Wednesday isn’t exactly a word which brings enthusiasm for Blades fans, but they have a fantastic record on this particular day of the week. 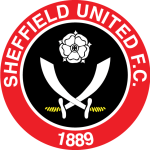 Sheffield United are unbeaten in 12 home league games played on Wednesday (W9 D3) since losing 0-1 in March 1993 against Norwich City. That’s a fine streak, and they’ll be out to extend that fine form with a result in this clash. 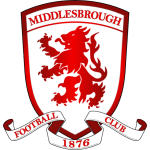 However, they are likely to have issues from the Middlesbrough attack, who come into this game with some fine form in front of goal. Middlesbrough come here having scored in their last seven trips. That includes hitting three at West Brom, while they have scored in 10 of their last 11 on the road. We see them notching against the Blades, who have scored in 80% of their home matches. Middlesbrough have seen both sides score in six of their last seven, so we think BTTS is value here, especially with the Blades coming off the back of a 3-3 thriller. While the visitors have firepower coming into this game, the hosts can boast the league’s top scorer. He now has 86 league goals since rejoining the Blades in 2015, and he’s firing them to glory. With 22 goals this season, he’s a potent threat. The last three games have seen Sharp score six times in total, and he’s a clinical finisher when given the chance. We expect him to grab a goal in this encounter, so we’re backing Sharp to score any time on top of our BTTS pick. The hosts have won 55% of their points at home this season. Since the start of 2016-17, Sheffield United have won 70% of their home league games when Billy Sharp has started (35/50) compared to just 27% when he hasn’t started (3/11). Britt Assombalonga has scored three of Middlesbrough’s last four away Championship goals, all as a substitute.